The Baumr-AG 680SX boasts an effortlessly powerful 5HP 139cc air-cooled, 4-stroke OHV engine that slices through the toughest buffalo with ease. The traditional ‘quarter acre block’ is of course essentially just a dream these days, and the 680SX’s highly maneuverable 16” deck is a sensible choice for today’s contemporary yards. 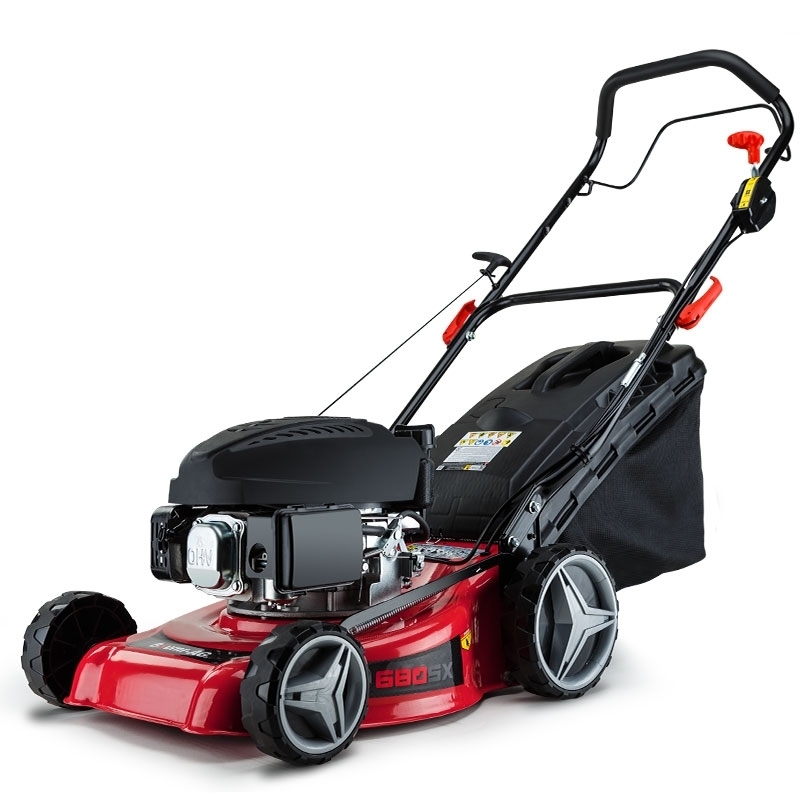 Packed with impressive features, the 680SX is fitted with a tough steel deck tailoring seven height settings with the pull of a lever, to keep your lawn healthy and looking it’s best. Mowing has become a leisurely stroll thanks to its self-propelled design, oversized wheels, and its lightweight, making it easy for anyone to operate. Moreover, its ultra-light catcher helps you unload grass clippings with no hassle. Order your Baumr-AG 680SX and make the cut today!